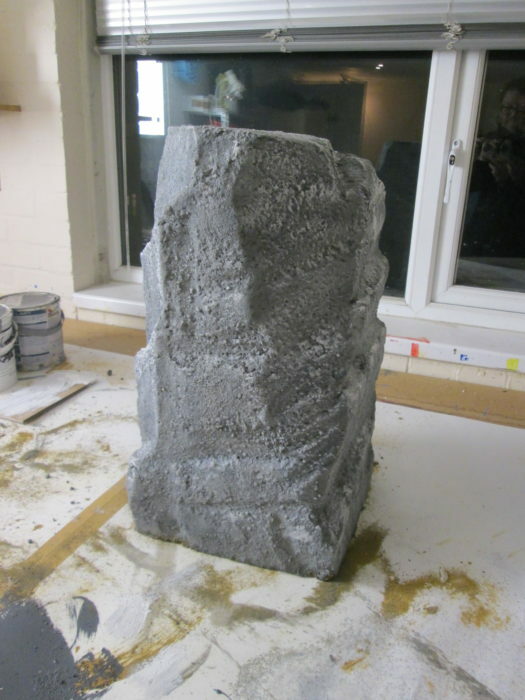 Shop display of faux stone pillar 550mm high by 300mm x 300mm in grey stone finish. Made for florist shop window displays. 600mm high Jesmonite Boulder made from AC730 Jesmonite with quadraxial fibreglass. Grey stone finish with a rusty iron outer layer to assist aging. Suitable for outside use. 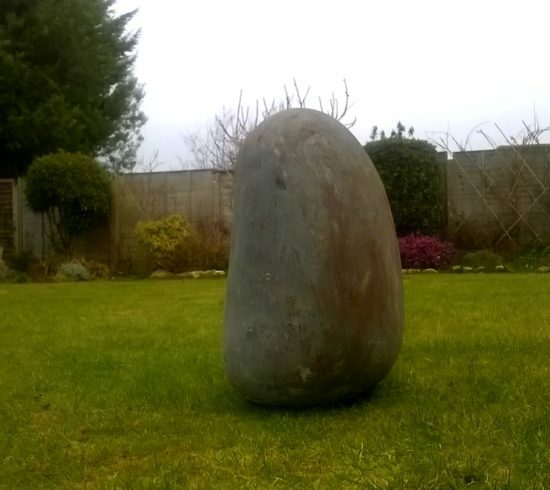 Following on from the shop display we made some faux boulders for outside use and sold them online. Ideal for gardens. permanent outside use, lightweight and durable. Jesmonite AC730 is a brilliant material to work with.